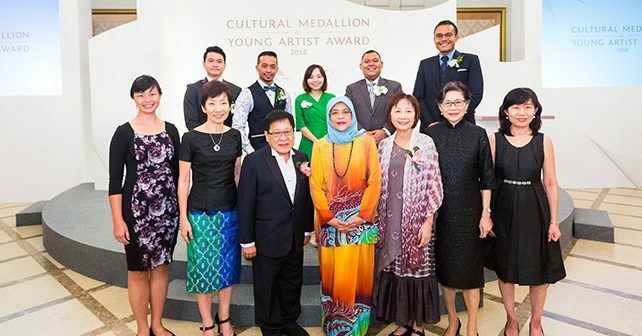 The National Arts Council (NAC) has conferred the Cultural Medallion and Young Artist Award on seven distinguished local arts practitioners from varying disciplines. 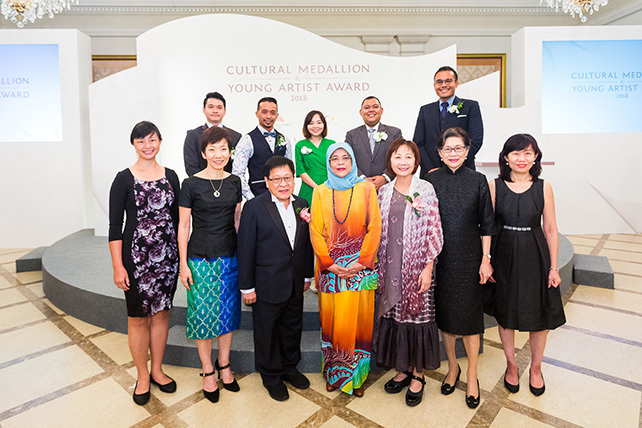 The Cultural Medallion and Young Artist Award represent the highest arts accolades awarded to arts practitioners for their artistic excellence. This year’s recipients have created outstanding and distinctive bodies of work that have helped shape Singapore’s cultural landscape. Each recipient has also shown commitment to advancing Singapore’s artistic development for the benefit of society, through educating, mentoring and inspiring the next generation of artists. The Cultural Medallion Fund allows each recipient to access an amount of up to $80,000, in support of a single project or multiple projects over the recipient’s lifetime that meet the Fund’s objectives. The Young Artist Award Grant provides an amount of up to $20,000 to support each recipient of the Award in continuing their artistic pursuits and development – for example, through arts projects or studies that have a positive impact on the recipient’s artistic growth, or on Singapore’s arts scene. Louis Soliano: Louis is one of Singapore’s best-known jazz musicians with an outstanding body of work spanning over 50 years. He is a prolific percussionist and vocalist, and has played with and accompanied international artists like Rosemary Clooney, Sarah Vaughan and Shirley Bassey. Louis is an influential figure and role model, and has received several accolades for his outstanding works and contributions, including the Lifetime Achievement Award at the Singapore International Jazz Festival in 2014. He continues to be a prolific performer today. Low Mei Yoke: Mei Yoke is the co-founder and Artistic Director of contemporary dance company, Frontier Danceland. A pioneer choreographer, she enjoys creating works that represent Singapore’s vibrant and diverse society, and is known for infusing a unique style blending Eastern dance aesthetics with Western dance movements into her work. Mei Yoke’s works have received much acclaim in Asia and have been performed around the world. She continues to inspire a new generation of contemporary dancers as a resident choreographer and modern dance instructor at Nanyang Girls’ High School and Raffles Institution. Many of the dancers whom she mentored in Frontier Danceland have also gone on to play active roles in the arts scene. Faith Ng: Faith is a playwright with Checkpoint Theatre known for her strong voice and outstanding body of work. Best known for her critically acclaimed work ‘Normal’ (2015, 2017), her writing captures slices of Singapore life, raising awareness and creating dialogue around pertinent social issues. Her plays have received several accolades, including nominations for the Straits Times Life! Theatre Awards, and a collection of her plays was published in 2016. Faith has also worked with The Necessary Stage, Drama Box, and the Esplanade, where she has branched into writing for senior audiences as well as for children. Hilmi Johandi: Hilmi’s paintings push boundaries by incorporating synthesised images of film, archival footage and photographs, creating a distinctive style that explores temporal and physical dimensions. Besides reflecting his love for film, his works also highlight the social effects of rapid modernisation. Lim Ting Li: Ting Li is a sound designer for film. She is the Director of Sound at Mocha Chai Laboratories, and has worked on sound design for many international commercial and arthouse feature films, earning multiple accolades for critically acclaimed home-grown films including ‘Sandcastle’ (directed by Boo Junfeng; 2010), and ‘Pop Aye’ (directed by Kirsten Tan; 2016). Sufri Juwahir: Sufri is an independent dancer and choreographer known for his diverse movement vocabulary. He is the co-founder of Soul Signature, a dance collective that seeks to redefine contemporary dance, while developing a new generation of young dancers. Zulkifli Mohamed Amin: Zulkifli’s passion for developing Singapore’s young aspiring musicians and inclusivity is what sets him apart from his contemporaries. Currently the Youth Leader at People’s Association (PA) Talents, he leads the Orkestra Melayu Singapore (OMS) youth wing as their music director and conductor, and co-founded Nusantara Arts with the aim of integrating literary and traditional arts.